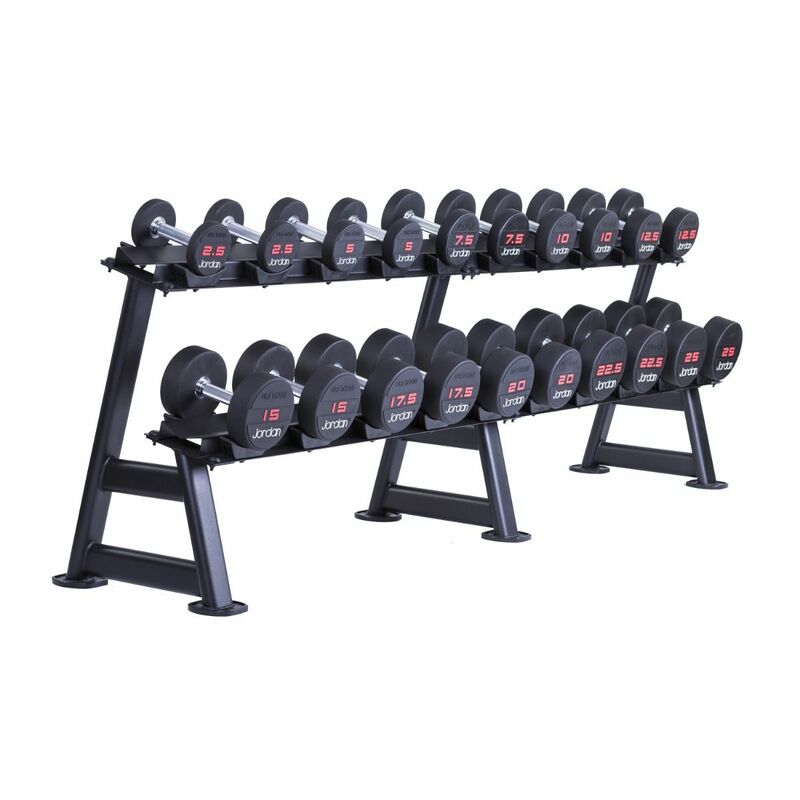 This 10 pair dumbbell rack with a 2 tier design is suitable for holding round headed dumbbells up to 60kg. It is incredibly durable with a sturdy oval steel frame and a "TUFF COAT" textured paint finish, to make it more resistant to wear and tear. The flexible design of this rack means that you can join other racks to the end to make one continuous rack for storing even more pairs. 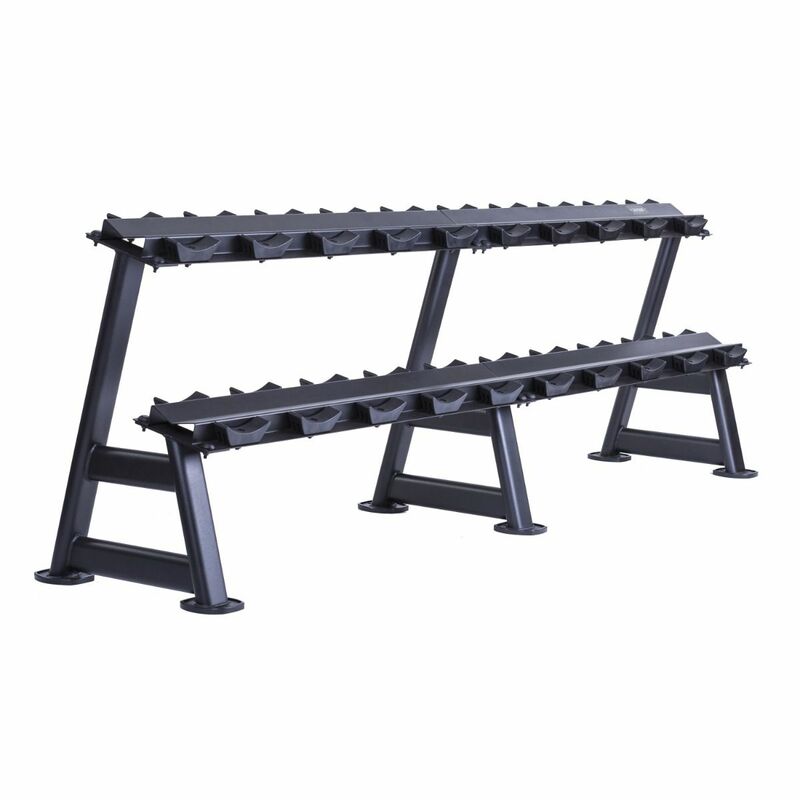 The 2 tier 10 pair dumbbell rack comes with rubber saddles for correct positioning of weights. The saddles will prevent damage to the dumbbells and stop them rolling around on the rack. This dumbbell rack measures 2450mm in length, 840mm in height and 530mm in depth. We recommend using the Jordan rubber solid end dumbbells with this rack but other ranges will also fit comfortably on it as well. Please note, dumbbells are not included. 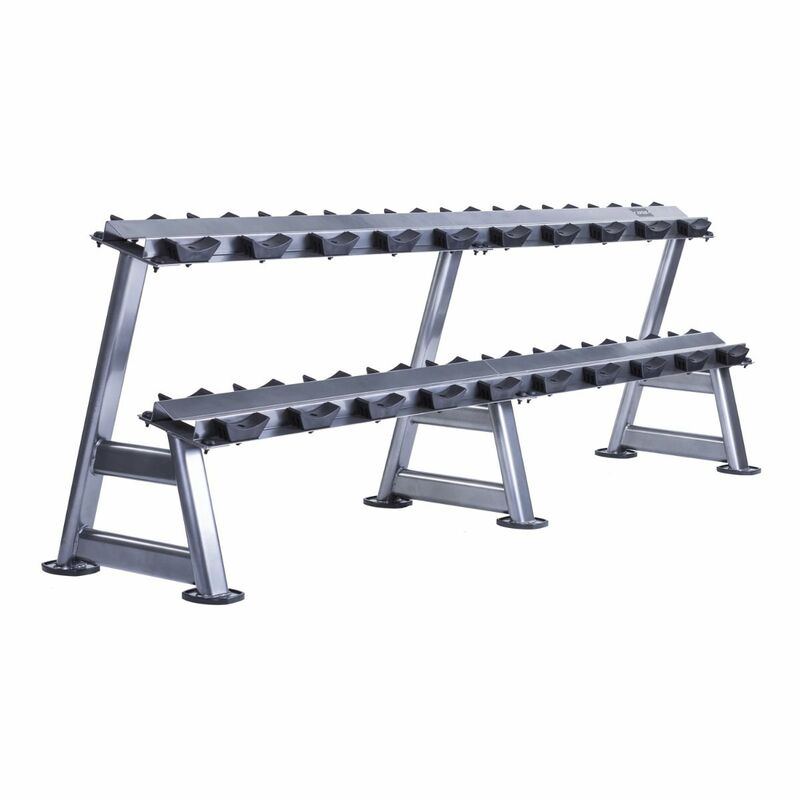 Need an effective storage solution for your dumbbells then check out this 2 tier saddle rack available to buy on gymequipment.co.uk. Using a rack to store your dumbbells means that your gym floor remains tidy and the chance of injuring your back is reduced as you will not have to bend down to pick them up. Even the strongest lifters do not want to haul 50kg dumbbells off the floor so buying a rack will certainly ease the stress. 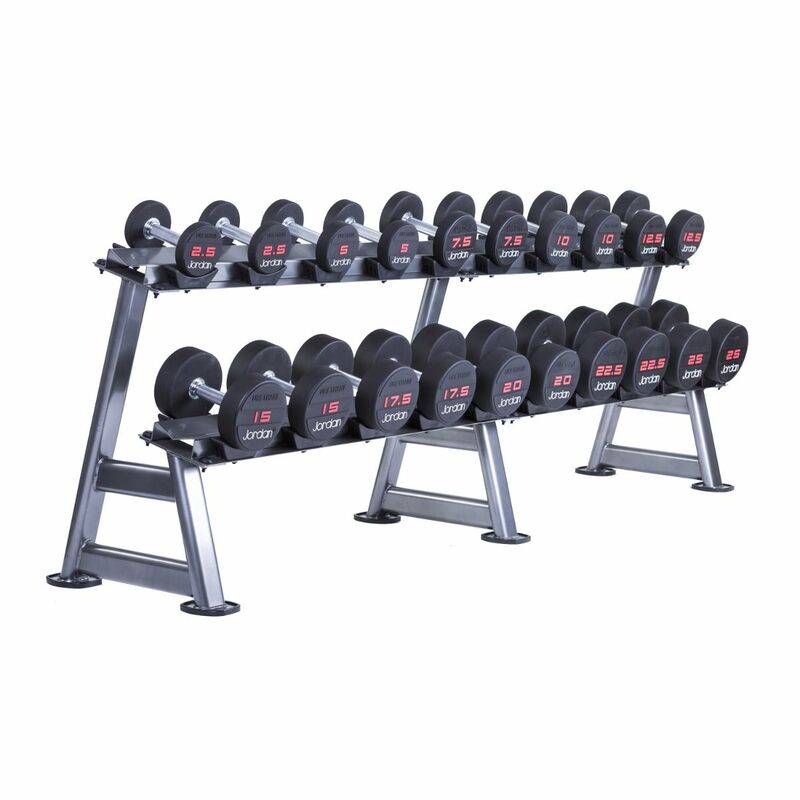 This dumbbell rack with saddles is a high quality rack suitable for any gym large or small. It is designed to hold up to 10 pairs of jordan rubber dumbbells but you can also buy another one or two and link them together end to end to hold, 20 or 30 pairs. This allows you to expand your free weight offering over time. If you need further information or would like to check availability please call us on 01494 956765.